When Tate Mesbergen took a look around the AgriTechnica farm show in Hanover, Germany, a sign in one of the vendor displays caught his eye. 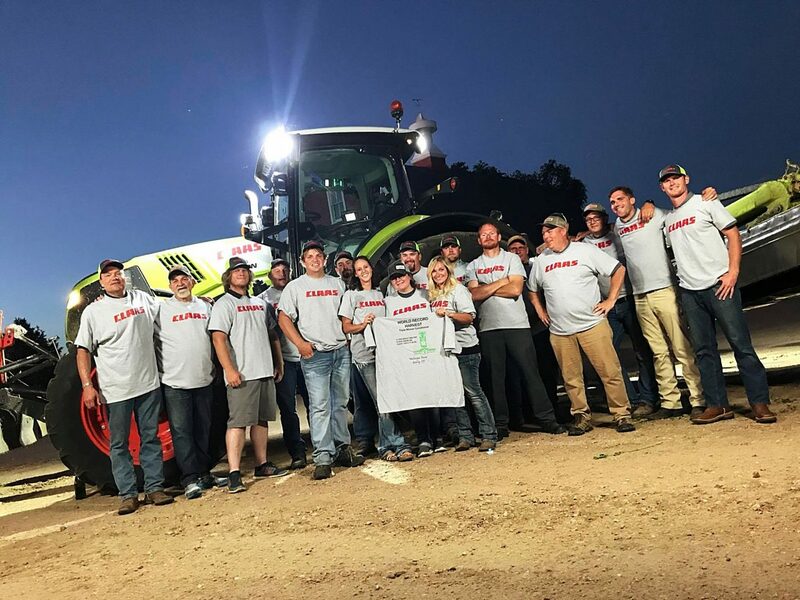 The sign proudly displayed that a company that manufactures triple mowers, Samasz, held the Guinness Book of World Records for the amount of hay mowed in an 8 hour period — roughly 242 acres. 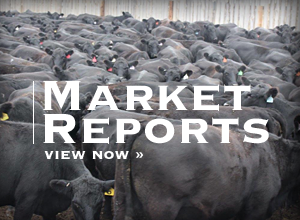 Eight months later, Mesbergen Farms of Greeley, Colo., proudly beat that record. "I saw a real opportunity to beat a world record, so I decided to go for it," Tate said. 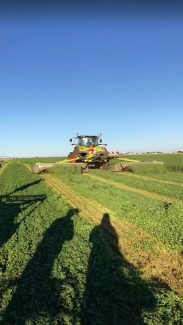 Tate is in a partnership with his father, Harvey, and brother, Troy, who have a custom corn silage and forage harvesting business. Much of the high-quality alfalfa they harvest is delivered to dairies in the Greeley area. Breaking this record was like a normal day for Tate. "I usually average about 250 acres a day when I really get after it," he said. "We harvested 348.667 acres in 8 hours to beat the current record. After that, it took 1½ days to catch up with the chopper. We had to have my brother-in-law come in and run a chopper so it wouldn't get too dry," he said. 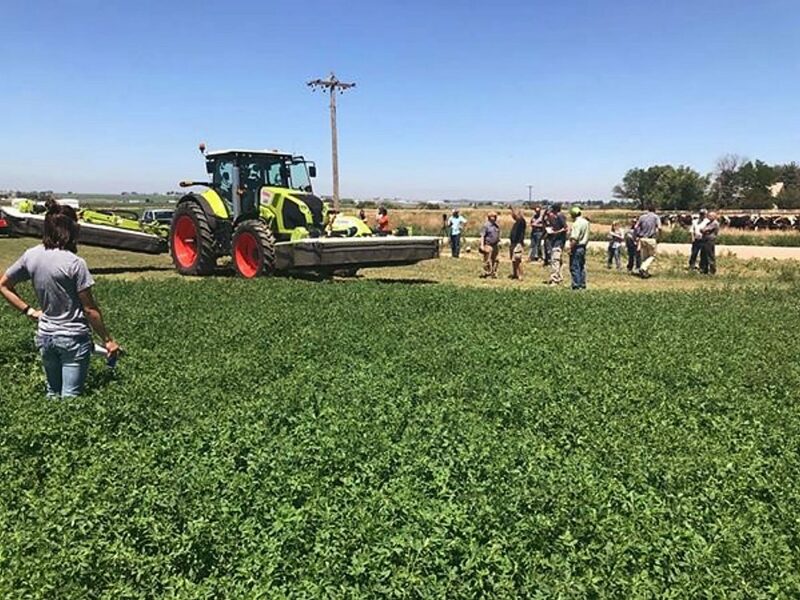 For the competition, Tate used a Claas 880 tractor, Claas Disco 1100 roller conditioner, and a Claas 980 forage harvester. Claas supplied a Claas 850 tractor and Claas linear rake. 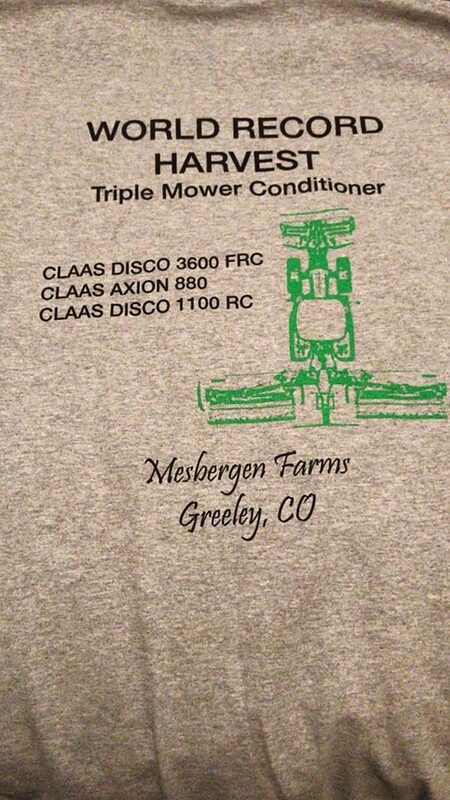 The Claas line of triple mowers is a competitor of Samasz. 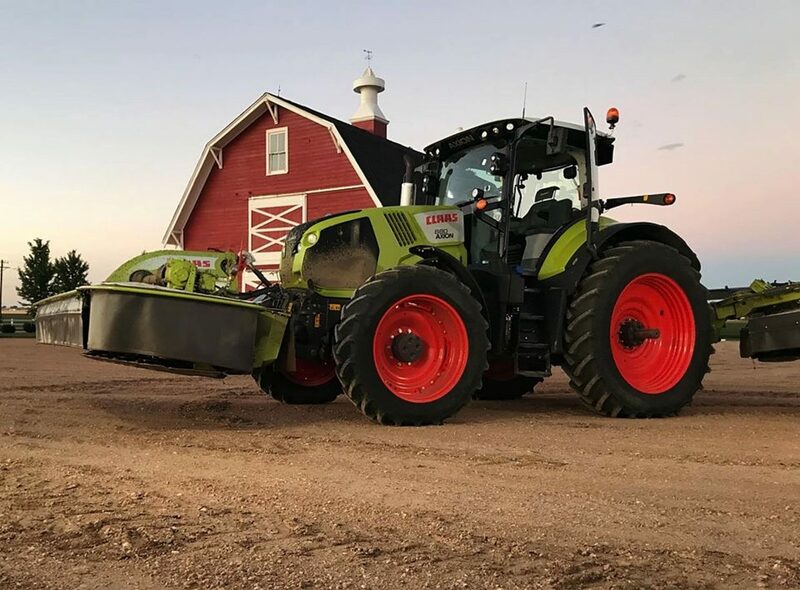 "We are really proud of Tate," said John Schofield, who is the North American Marketing coordinator for Claas. "He does a really good job with the triple disc mower. It was quite an accomplishment to beat that record by the margin he did." According to the results, Tate beat the previous record by around 106 acres. Schofield said Claas has supported Tate in this endeavor from the beginning. "Tate is the person on the farm who runs the disc mower, and said he could beat that record. He thought about it awhile, and then it came back up in some conversations during some meetings with Katrina Claas, who is the president of the company. She told us to go for it," Schofield said. "So we went ahead and put together the documentation needed for a Guinness World Record. 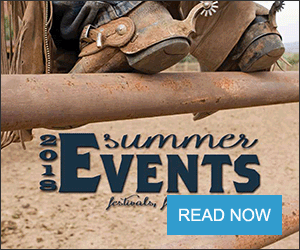 Tate decided July 1 was the best time to attempt it." Verification of the event was conducted by six officials, who served as witnesses. "We also had to have paperwork filed, and filming on record," Tate said. Nearly 50 spectators also turned up throughout the day to watch Tate break the record. Not everything went smoothly. Some early morning rain delayed his start from 9 am to noon. Then, in the very first field, he struck a chunk of concrete. "I had to get out and make sure the cutters or the cutter bar wasn't damaged," he said. "Fortunately, it was all okay." The final challenge was a 17½ minute move eight miles from the third field to the fourth. By the time he got to the final field and saw the time on the clock, Tate knew the record was in the bag. "When I selected fields for this competition, I went with the closest and largest fields possible. The first three were half a mile apart," he said. The first field was 40 acres, while fields two and three were a combined 200 acres, and the fourth field was 150 acres. "We didn't finish that one because we ran out of time," Tate said. He also had lots of help and support from his family. His wife, Carly, rakes or merges behind the mower. His father, Harvey, who started Mesbergen Farms 22 years ago, drives the chopper, and his brother, Troy, drives the truck. When the time was up, Tate was showered with champagne as he climbed down from the tractor. Afterward, they finished the documentation, handed out T-shirts and had a party. Although a Guinness Book of World Records doesn't come with much more than bragging rights, for Tate that is enough. "It was just pretty close to a normal day for me. I usually just cut in the morning until about noon. I take a break and drive the truck so the hay doesn't dry out too fast. Then, I cut again in the afternoon to finish out the day. With the triple mower, it dries so fast we have a hard time keeping up with the chopper. I have to take a little break so it doesn't get too dry on us," Tate said. The prior world record set by Samasz was done with a triple mower that didn't have a conditioner, Schofield said. "Tate's has a conditioner, which makes it even more challenging. Samasz harvested a type of switchgrass, while the Mesbergen's harvested alfalfa, which is heavier, thicker and tougher to cut. But, the Mesbergen's really smashed it. They harvested about 43 acres an hour, which was really good," he said. 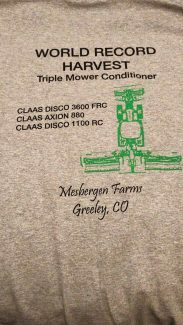 "The triple mower is a little over 35 feet in width. It is just really rock solid. Tate also manually steered based on feel. He did it without GPS."